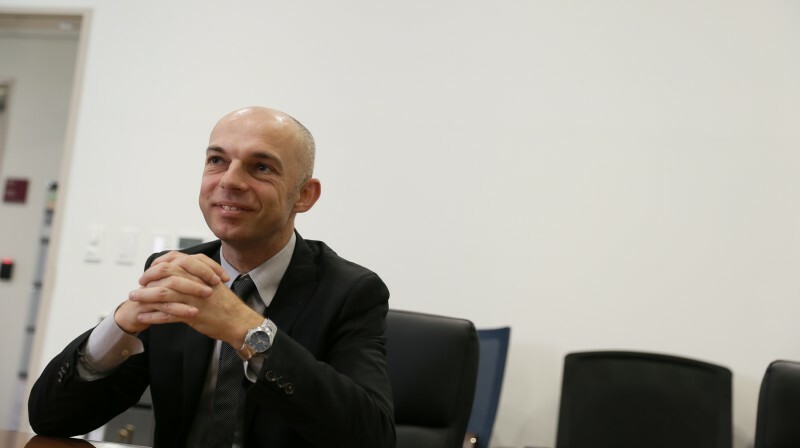 Dr. Alberto Moscatelli, Senior Editor of Nature Nanotechnology visits UNIST on the morning of April 29, 2016. 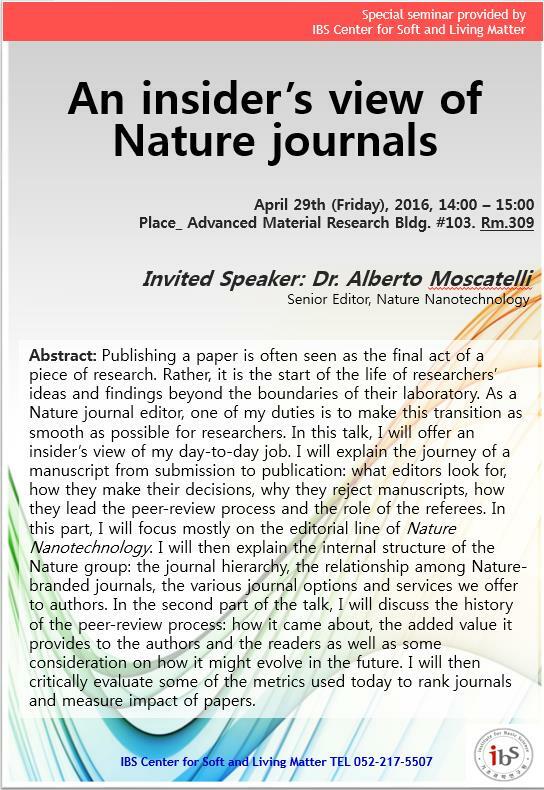 At the invitation of UNIST, Dr. Alberto Moscatelli, one of the Senior Editors of the widely respected Nature Publishing Group journal visited UNIST on the morning of April 29, 2016. 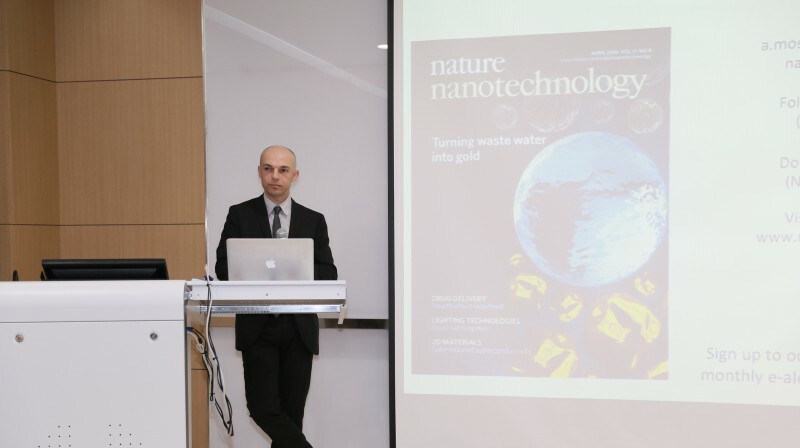 During his visit to UNIST, Dr. Moscatelli of Nature Nanotechnology lectured on the topic “An Insider’s View of Nature Journals,” in which he offered an insider’s view about publishing papers in Nature Nanotechnology. 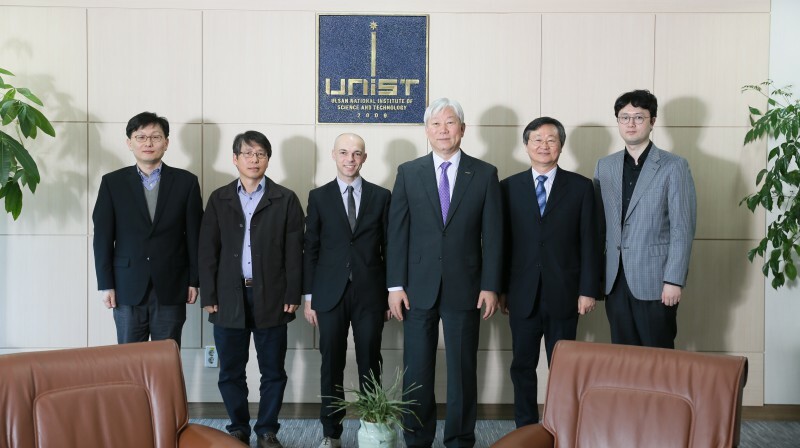 Prior to the lecture, Dr. Moscatelli has met with UNIST President Mooyoung Jung and major university officials, including Prof. Jae Sung Lee (Vice President for Research Affairs), Prof. Zonghoon Lee (Dean, School of Materials Science and Engineering), Prof. Hyuk Kyu Pak (School of Natural Science), and Prof. In Cheol Bang (Dean, Office of Budget and Planning) to hear about the vision and major accomplishments of UNIST. For a start, Dr. Moscatelli introduced a brief publication history of Nature Nanotechnology and the relevant procedure of submission and examination of papers. Afterwards, he explained the refereeing standard in details and provided dozens of specific suggestions on paper preparation. After the meeting, Dr. Moscatelli developed lively exchanges with the attendees on issues and suggestions they were interested in.